Lined. High, smocked neckline with pleated detail. 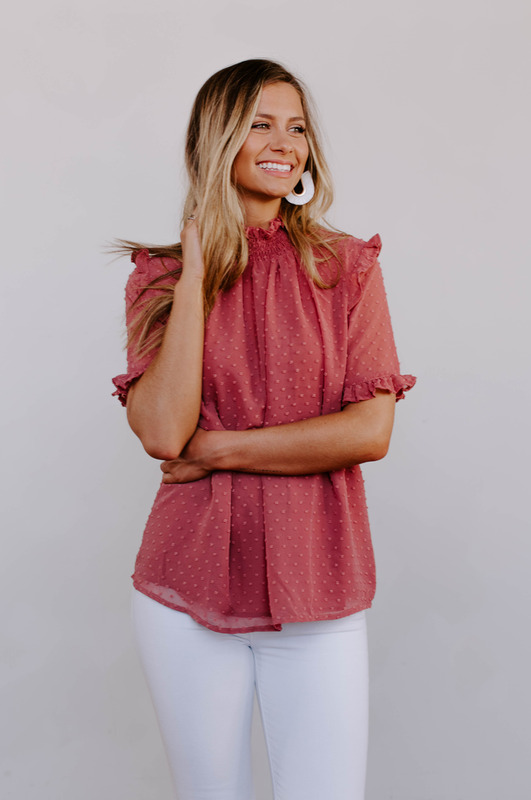 Short sleeve with ruffle trim. Keyhole at back with double button closure at nape of neck. Relaxed fit. Straight hemline.